This Sunday night, more than 100 million people will watch the Super Bowl, TV's biggest spectacle of the year. There will jets and pyrotechnics and Gladys Knight and Big Boi and Maroon 5 and commercials that cost $5 million for just 30 seconds and also some football. And almost all of it is due to one game 50 years ago. Back then, in Super Bowl III, the AFL's New York Jets defeated the NFL's Baltimore Colts in a shocking upset that has come to define the Super Bowl as we know it. It did so because of a perfect confluence of events: It was Jets quarterback "Broadway" Joe Namath with his long hair, fur coats, and white shoes, predicting that his underdog team would win; it was Namath against the establishment of pro football, the straight-laced, crew cut Colts; it was 1969, one year before the AFL and NFL were officially combined in a merger that would change pro football forever. Maybe, maybe, if all those things don't happen at once, the Super Bowl still becomes what it has. But because they did happen, we will celebrate a national TV holiday on Sunday. 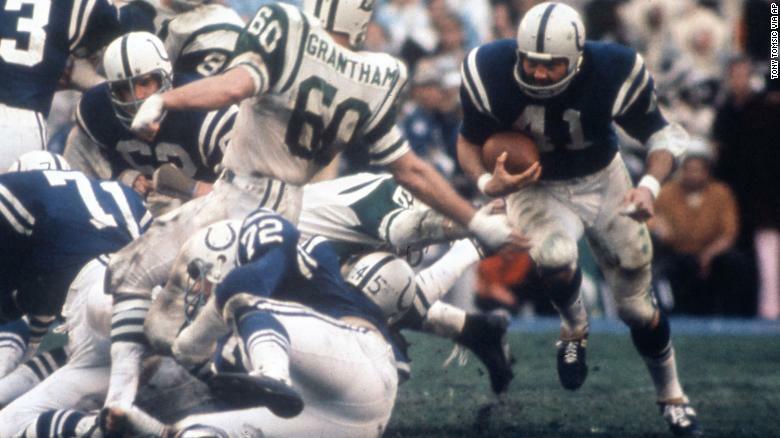 "It changed the whole scope of professional football in America," Bob Lederer, author of "Beyond Broadway Joe: The Super Bowl Team That Changed Football" told CNN Business. "It might've been the point at which football became the national pastime instead of baseball." One reason for that is that the game helped legitimize the then-fledgling AFL, which was thought of at the time as inferior to the more established NFL. The NFL's Green Bay Packers had won the first two Super Bowls in blowout fashion. The AFL was a "talented and upstart league" but there was a perception that it lacked the caliber of the NFL, according to Jon Kendle, a historian and archivist at the Pro Football Hall of Fame. Frank Ramos, the Jets' director of public relations from 1963 to 2002, told CNN Business in a recent interview that even in the immediate aftermath of the game, the importance of what had just happened was clear to some people. "After the game, NFL commissioner Pete Rozelle came into the locker room with the trophy to present it to the Jets," Ramos said. "After the presentation he turned to one of his aides, who was bemoaning the fact that the NFL lost to the AFL, and said, 'This is one of the greatest things to ever happen to pro football.'" The NFL is now consistently the most popular thing on TV, and the most important programming for the networks that have it. Forty-six of the top 50 most-watched programs on TV this season were NFL games. Even the NFL Draft, which centers around a bunch of people on a stage reading other people's names, regularly draws more viewers than some of college basketball's biggest games, or the opening night of hockey's Stanley Cup Finals. But the first two Super Bowls gave little sign of what the game would eventually become. Super Bowl I didn't even sell out the L.A. Coliseum; a full recording of the game's broadcast was lost for decades. "That's how cavalier both CBS and NBC were about it," Gerald Eskenazi, a sportswriter who worked at the New York Times for 44 years, told CNN Business. "Now, the last eight Super Bowls are the eight most watched programs in the history of American television." Super Bowl III also helped define the pageantry around the game, right down to its name. Super Bowls I and II were only named that after the fact; originally they were called the "AFL-NFL World Championship." Not exactly the kind of thing that makes you want to break out the nachos and wings. And though the Roman numerals and extravagant halftime shows would come later (unless you count Super Bowl III's featured halftime performer, the Florida A&M University marching band, as extravagant), the game did feature something that has helped subsequent Super Bowls become made-for-TV events that draw in even non-football fans: It had a narrative. "There wasn't much of a storyline involved with Super Bowl I and II, but Super Bowl III had a different feel about it," Kendle said. On one side, he points out, "you had the Baltimore Colts, who were heavily favored going into the game." On the other were the Jets and Namath — a charismatic quarterback who broke the mold of the famous (and kind of boring-looking) quarterbacks of the era. 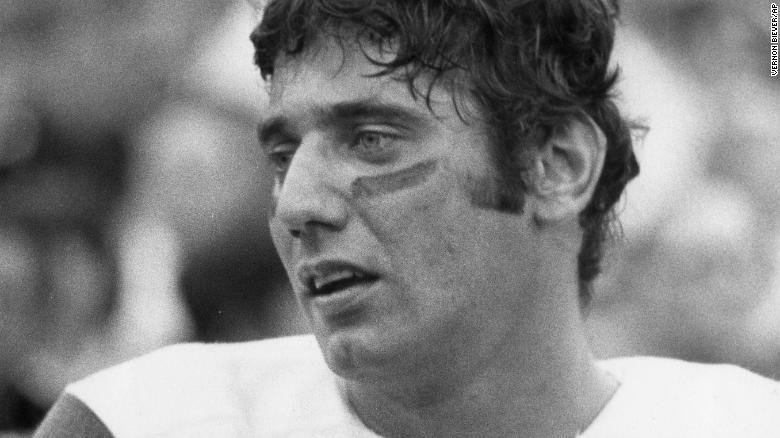 "He didn't look like [Packers quarterback] Bart Starr, he didn't look like [Colts quarterback] Johnny Unitas," Ramos said, adding that Namath was "something different," a player who transcended the game and appealed to "women and people who might not be big football fans." "That guarantee was an undercurrent to the game," Eskenazi said. "So much attention was given to the game that it immediately transcended any other major sport championship." Namath's fulfilled promise, the stunning upset, the culture clash between the swinging '60s Jets and the Colts made Super Bowl III a story that felt right out of scripted TV. "Don't forget, this still was the Sixties, long hair was controversial and the establishment was being given a battle from upstart newcomers," Eskenazi said. "The symbolism was perfect, and it was all there." All of it — the trademark name, the heightened competition between the two leagues and the perception of the Super Bowl as a premier event -- was crystallized when another AFL team, the Kansas City Chiefs, won Super Bowl IV the following year. The NFL, the Super Bowl and TV haven't been the same since. "Because the outcome was so dramatic, the league understood that it was intertwined with television," Eskenazi said of Super Bowl III. "The game showed the grip television and the NFL could have on America."